Natural Compounds in Grapes Could Lead Us to An Epigenetic Treatment for Depression | What is Epigenetics? Recent research suggests that our diet and lifestyle can change the expression of our genes. This occurs by adjusting epigenetic marks on top of our DNA without actually making any changes to the underlying genetic sequence. For example, blueberries were found to epigenetically reduce DNA damage and drinking green tea may turn some genes on or off in women. In a new epigenetic study published in Nature Communications, researchers from Icahn School of Medicine at Mount Sinai have identified two compounds or polyphenols found in grapes that are effective in promoting resilience against stress and reducing depression in a mouse model. Polyphenols, which are present in foods such as fruit, vegetables, olives, and chocolate, have been found to effectively modulate aspects of depression, among other diseases, including cancer. Researchers working to find novel therapeutics to target newly discovered underlying disease mechanisms often consider these natural compounds. This is because currently available antidepressants typically only target serotonin, dopamine, and other neurotransmitters and are often linked to severe side effects. Three grape-derived polyphenol products, including Concord grape juice, were found to epigenetically alleviate depression in mice. An estimated 16.2 million adults in the United States had at least one major depressive episode in 2016, according to the National Institute of Mental Health. Depression is linked to a multitude of pathological processes, including abnormalities to neuronal synapses and inflammation to the peripheral immune system that guards against disease. In regard to peripheral inflammation, previous studies have shown that elevated expression of peripheral interleukin 6 (IL-6) is most consistently observed in people with depression. So, could grape-derived polyphenols help alleviate depression? A team of investigators led by Giulio Maria Pasinetti, PhD, Saunders Professor of Neurology combined three grape-derived polyphenol products – Concord grape juice, trans-resveratrol, and a select grape seed extract – to form a bioactive dietary polyphenol preparation. This mixture was shown to help reduce stress-induced depression and boost resilience in mice. 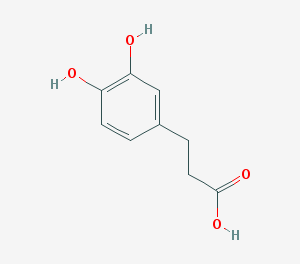 Dihydrocaffeic acid (DHCA) and malvidin-3′-O-glucoside (Mal-gluc) are two compounds derived from grapes which may be therapeutically developed and used to treat depression. In the study, DHCA was found to modulate inflammation and Mal-gluc affected synaptic plasticity. DHCA reduced IL-6, which stimulates immune response and is pro-inflammatory, by epigenetically inhibiting DNA methylation of the IL-6 genes. “Mal-gluc significantly promotes Rac1 expression by reducing HDAC2 expression and, thereby, increasing histone acetylation along Rac 1 promoter and upstream gene sequences,” the researchers reported. HDACs, or histone deacetylases, are enzymes that remove acetyl groups, which consist of a carbonyl group and a methyl group. When acetyl groups are removed, histones can wrap the DNA more tightly and reduce gene expression. By reducing HDAC2 expression, the grape-derived compound Mal-gluc was able to modulate histone acetylation of the Rac1 gene and allow transcription activators to access the DNA for greater transcription in the brain. This impacts the expression of many genes that control synaptic plasticity. Rac1 is known to play an important role in regulating dendritic spines and excitatory synapses. DHCA, one of the two grape-derived compounds used in this study. Credit: PubChem. The team also found that, “DHCA significantly inhibits PBMC IL-6 expression by inhibiting DNA methylation of the IL-6 genes at the CpG-rich sequences of IL-6 introns 1 and 3. The well-known epigenetic mechanism DNA methylation was reduced by DHCA, which in turn lessened pro-inflammatory IL-6. “Our research shows that combination treatment with the two compounds can promote resilience against stress-mediated depression-like phenotypes by modulating systemic inflammatory responses and brain synaptic plasticity in a mouse model of depression,” said first author Jun Wang, PhD, who is also the Associate Professor of the Department of Neurology. Phytochemicals are of particular interest to the scientific and health community due to their strong antioxidant, anti-inflammatory, antimicrobial, and anti-tumorigenic activities. 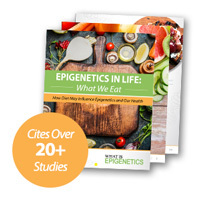 They might even play a role in the development of an epigenetic diet. Overall, oral administration of this bioactive dietary polyphenol preparation was found to be effective in reducing depression by reversing stress-mediated brain synaptic maladaptation via epigenetics. This study presents new preclinical evidence that supports pinpointing multiple crucial disease mechanisms via epigenetic modification to potentially treat depression. It opens up new doors to harnessing compounds found in fruits like grapes, in order to design a possible treatment for depression. Source: Wang, J., Pasinetti, G.M., et al. (2018). Epigenetic modulation of inflammation and synaptic plasticity promotes resilience against stress in mice. Nature Communications, 9(1). DOI: 10.1038/s41467-017-02794-5. Reference: Icahn School of Medicine at Mount Sinai. Mount Sinai Researchers Find Grape-Derived Compounds Capable of Promoting Resilience Against Stress-Induced Depression. Mount Sinai Newsroom. 2 Feb 2018. Web.